You own a car that you like and you plan to keep it for many years. You want to feel protected driving the car, but your original manufacture warranty is about to expire. 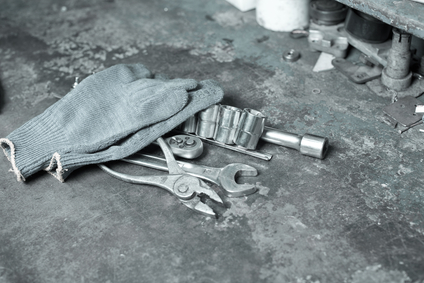 You do not want to be stuck with out-of-pocket expenses if a major car problem occurs. The thought of unexpected, expensive repairs, maybe costing thousands of dollars, is a nightmare. You have considered an extended auto warranty. But your have many questions. What does an extended car warranty offer? When should you buy extended coverage? Can you negotiate the price? Good news! You may have more options than you imagined. It is a great idea to buy the extended warranty before the manufacture car warranty expires. This way your coverage can flow seamlessly form one warranty to another. Ideally, you should buy your extended warranty one month or 1,000 miles before the expiration date of the original warranty. If you miss the deadline and your original manufacture warranty expires, you can still purchase an extended car warranty, but your car will be considered ‘used’ and the cost of an extended warranty on a used car is higher. Extended warranties are not one-size-fits-all. The costs will vary according to many variables including the driving you do, the coverage you need, and your budget. Your warranty can be tailored to fit your needs. Your warranty can apply to a stated component, power train, or wrap. There are levels of coverage. You can design a plan that is appropriate for your budget—from basic to full and everything in between. You can choose your deductible, like any insurance coverage. Your deductible could be $50 or $100 or you might decide on a deductible-free policy. You will want to select a plan that matches the amount of driving you do and the length of time you expect to keep the car. Does a 3-year/50,000 mile coverage work better than a 5-year/100,000 plan? Thinking about your future with this car will help you decide what coverage is best for you. A good thing to know is that you will not lose your protection or coverage. The extended auto warranty can be transferred to another person or another vehicle at any time. Be sure to inquire about the process for filing a claim. Who do you contact to file a claim? When can you file a claim? What is the process? What information is required? Is money paid to the company who works on the car, or to you? What is the average turnaround time on to process a claim? You should feel certain that you understand the process so that your time and money are not be wasted. Now that you know what your extended warranty will include, a salesman will quote an initial price. Realize that this price is just the starting point in the negotiation process. The price of your extended warranty should be individualized to your situation, just as your warranty is custom tailored to your needs. Let the salesperson know that you will comparison shop the quote given to you with the price for similar warranties offered by other companies and by the auto dealership. Ask what discounts are available, if they apply to your situation: senior discount, military discount, and first time call discount. Inquire if financing is available. If so, investigate the terms of the financing. 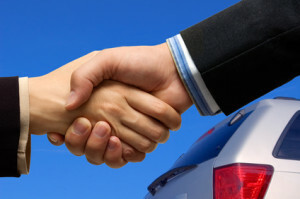 Remember, a salesperson will offer a price that is more expensive than the dealer’s cost. The profit margin that can be decreased. The salesperson is authorized to negotiate. Ask for the best deal possible. Make an agreement only when you are satisfied with both the coverage and the price. We offer these guidelines so that you can receive the best price and the best coverage on your extended automobile warranty. It is important that you save money and feel protected driving your car. With patience and thoughtful negotiation, you can create an extended car warranty that seamlessly continues the protection that your manufacture car warranty offered. You can have confidence that your vehicle’s needs will be met. You can be satisfied with the coverage your extended car warranty offers and the price you received.